Drag point A in the right pane. Where should A be located so the triangle has the greatest area? 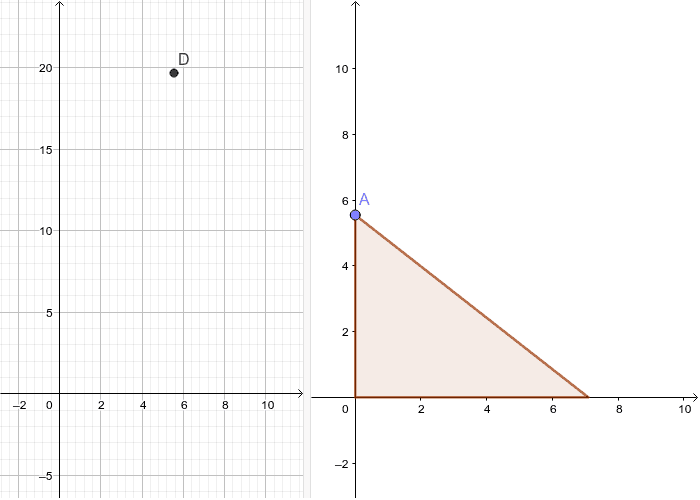 Estimate the area and the coordinates of A. Click and drag the graph to erase the traces of D.